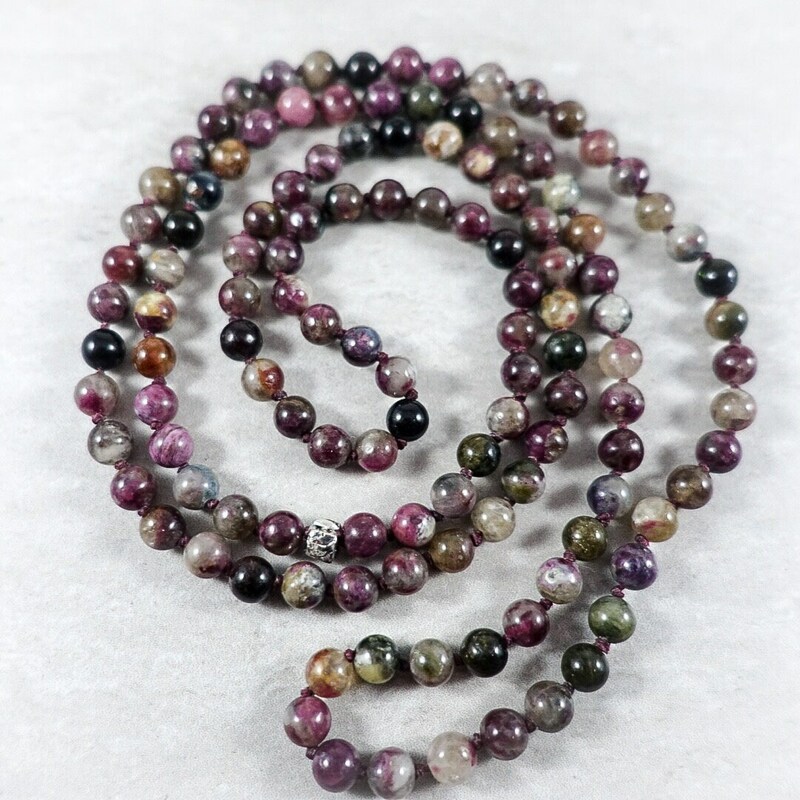 An array of calming pinks and subtle purple hues, Tourmaline’s properties provide the wearer with a bridge between the physical and spiritual world, the balance between the Eastern concept of “yin and yang,” and enhancing understanding. 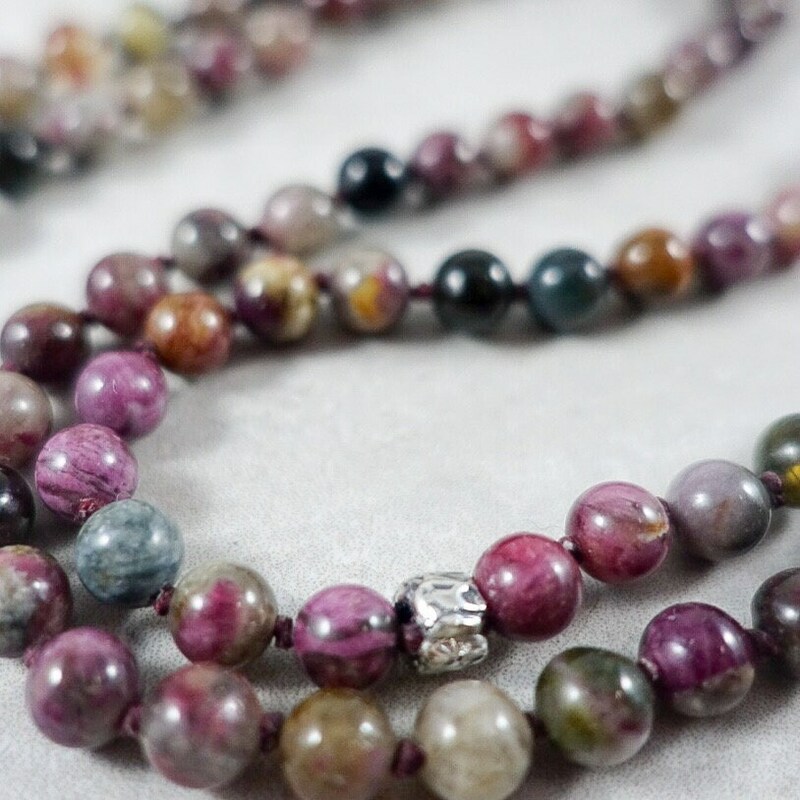 Dispel your fears and minimize your grief in this beautiful, hand-knotted piece. Beautiful pink beads separated by maroon-colored Irish linen. 34 inches, priced at $150.